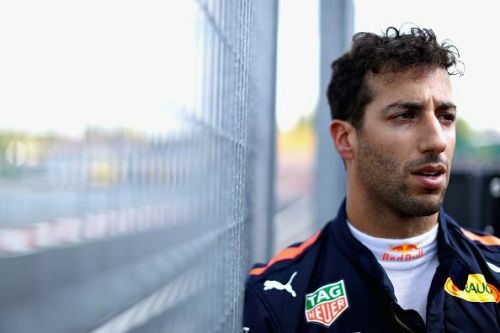 Daniel Ricciardo is to leave Red Bull Racing at the end of the 2018 season after months of wondering where the Aussie's future would lie. One team we can cross off the list is Red Bull after joining the group in 2014 to race alongside Sebastian Vettel. The 29-year-old is expected to join Renault for the 2019 season. Nico Hulkenberg and Carlos Sainz are the current drivers at Renault which means one of them will be needing a seat at another team. Sainz is favourite to take over from Ricciardo's position at Red Bull and team up with Max Verstappen. 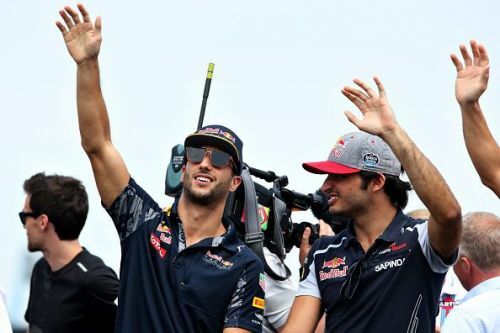 Sainz (right) to replace Ricciardo? The Spaniard joined Renault after the Singapore Grand Prix last year after two and a half seasons at Toro Rosso. Ricciardo was linked to Ferrari and Mercedes so it is rather a shock in the Formula 1 community that he will join a less competitive team. The last time Renault competed and won the driver's and constructors' championships was back in 2006 with Fernando Alonso. But this year so far has seen the team in black and yellow compete just outside the top three of Mercedes, Ferrari and Red Bull. Daniel Ricciardo has advised us that he is to leave the Team at the end of the 2018 season. Having joined the Red Bull family in 2008 as a member of the Red Bull Junior Team, with whom he won numerous junior titles, Daniel made his F1 debut in 2011 at the British Grand Prix. After two seasons with Scuderia Toro Rosso, Daniel joined us in 2014 and to date has brought the team seven victories, 29 podium finishes, two pole positions and 904 championship points. Commenting on Daniel's decision, Aston Martin Red Bull Racing Team Principal Christian Horner said: "We fully respect Daniel's decision to leave Aston Martin Red Bull Racing and we wish him all the best in his future. We would like to thank him for his dedication and the role he has played since joining the Team in 2014, the highlights of course being the seven wins and the 29 podiums he has achieved so far with us. "We will now continue to evaluate the numerous options available to us before deciding on which driver partners Max Verstappen for the 2019 season. In the meantime, there are still nine races left in 2018 and we are fully focused on maximising every opportunity for Max and Daniel for the remainder of the season."